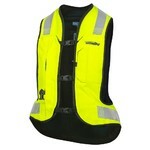 The Airbag Vest Helite Turtle 2 Black is a 3-in-1 vest providing a revolutionary level of protection. The main advantage is the presence of inflatable airbag system, which can absorb impacts on the upper body and ensures effective dispersion of energy. Therefore, potential head impacts will occur in lower speed and with delay, as a result of which your head will be protected against traumatic brain injury. Moreover, the head and spine will stay fixed in a natural upright position so that neck vertebrae cannot get injured by hyperflexion. 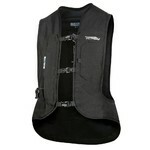 The vest is also equipped with a back protector (SAS-TEC, Level 2) which acts like a turtle shell. The result is increased protection against tearing and full dispersion of force over the surface. For high comfort, the Airbag Vest Helite Turtle 2 Black is equipped with inner mesh for better air circulation and the system of buckles and Velcro straps for easy size adjustment and easy fastening with motorcycle gloves on. Another practical feature is its large reflective applications which increase your passive safety while riding in poor light conditions. 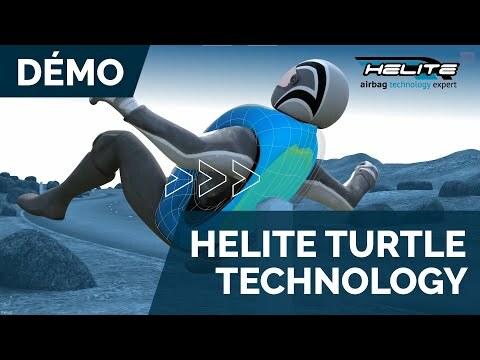 The Helite company was founded in 2002 by Gerard Thevenot. He was one of French innovators in the aviation industry. The brand success lies in experienced staff and perfect constructional solutions. Development and production take place in Dijon. Each product features its own production number and goes through initial and final check. 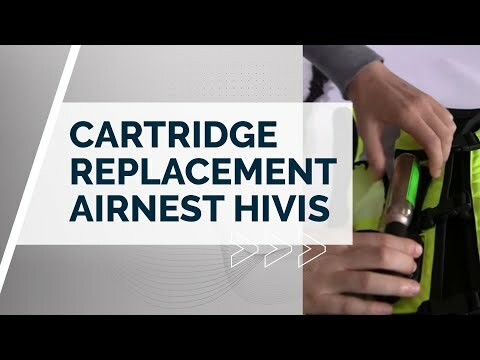 Used materials are of the best quality, including the airbag, hardened striker, buckle, hardened plastic with nylon and cartridge with great CO2 volume (45g of CO2 by pressure 60 bars, individually tested for 110°C). The vest has been tested and certified by Alienor Certification – a French testing facility which provides PPE (Personal Protective Equipment) testing. You can extend the warranty from 2 to 4 years by registering at Helite warranty service website. To be able to do so, you will have to provide the serial number, which you can find on the size label (see the video). We also offer service consultationor possible air bag checking after an accident. If it is irreparable, we offer a new air-bag jacket or vest 21% cheaper.